ZTE Nubia Z18 VS Nokia 7 Plus: Which Will You Pick? Home Comparison ZTE Nubia Z18 VS Nokia 7 Plus: Which Will You Pick? The ZTE Nubia Z18 is among the latest device in this 2018. The handset was launched in a premium body and it packs the latest hardware which has been the trending in smartphone recently. Nokia 7 Plus is the beast from Nokia that pays much attention to the performance than anything else. This handset is rocking a pleasant hardware with mid-range specifications on the inside. This post is about the ZTE Nubia Z18 and the Nokia 7 Plus specs comparisons. The ZTE Nubia Z18 is built with an Aluminium Alloy and glass with a body dimension that measures 72.54 mm x 148.58 mm x 8.5 mm and it weighs 172 gram. In addition to this, is the notch on the front which adds more screen on the overall front. The rear panel that houses the fingerprint scanner and the camera is available in Black, Red, and Blue colors. The Nokia 7 Plus adopt the 18:9 aspect ratio which is the new premium aesthetics. This phone is built with aluminum and covered by a six-layer ceramic coating on the back. It also has a fingerprint scanner placed on the back just below the cameras. It’s available in Black and White colors with body protection. The ZTE Nubia Z18 has a screen size of 5.99-inches FHD+ under JDI IPS capacitive touchscreen with a screen resolution of 2160 x 1080 Pixel and 403 pixels per inch density. It has a 2.5D curved glass with a display protection and 86% screen to body ratio. The Nokia 7 Plus has a screen size of 6.0 inches FHD+ which will fits perfectly on any palm. It has a 2160 X 1080 pixels resolution which will offer colorful images with the help of 402 pixels per inch density. It has a corning gorilla glass which is scratch resistant and 77.7% screen to body ratio. Both phones have triple camera configuration. 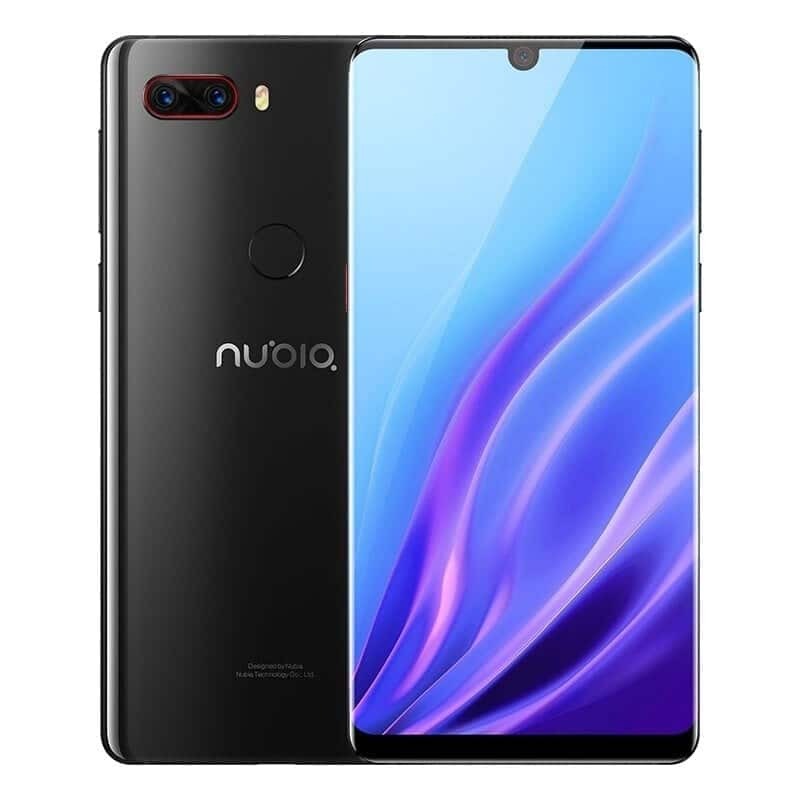 The ZTE Nubia Z18 offers a dual rear camera of 16 Megapixels f/1.6 + 24 Megapixels f/1.6 with dual LED flash and a front facing camera of 8 Megapixels with f/2.0, Pixel size – 1.12 um, and Face Recognition features. The Nokia 7 Plus has a dual rear camera of 12 Megapixels + 13 Megapixels with dual LED flash. Other features include live bokeh mode and the 2x optical zoom with Zeiss lens on board. There is a front facing camera of 15 Megapixels with f/2.0 Aperture, 1080P, and Car Zeiss Lens features. On the overall camera, the Nokia 7 Plus will take and shoot high video quality than it’s rival. The ZTE Nubia Z18 pack Qualcomm Snapdragon 845 chipset with an octa-core processor that clocked at a speed of 2.8GHz along with Qualcomm Adreno 630 GPU. It has 6GB/8GB of RAM with an inbuilt memory of 128GB. 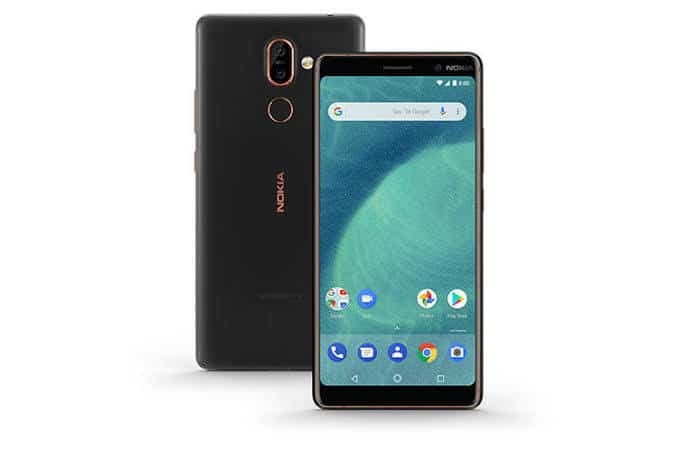 The Nokia 7 Plus, on the other hand, is equipped with a lower Qualcomm SDM660 Snapdragon 660 clocks at 2.2GHz combined with Qualcomm Adreno 512 GPU. It has 4GB/6GB of RAM with inbuilt storage of 64GB which is expandable with micro SD card. 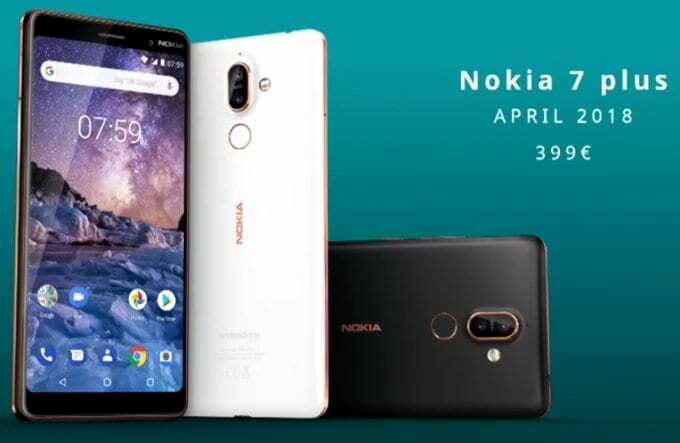 Both are powered by Android 8.1 Oreo operating system but the Nokia 7 Plus update to Android Pie has been released which gives it an edge over its rival. The ZTE Nubia Z18 has an inbuilt battery capacity of 3450 mAh, while the Nokia 7 Plus has a bigger battery capacity of 3800 mAh which is expandable. On the price, the ZTE Nubia Z18 will sell at a price of $395, while the Nokia 7 Plus is selling around $479. So on the overall, the ZTE Nubia Z18 is winning and surprisingly the Nokia 7 Plus is more expensive which shows that the handset is overpriced. I will gladly pick the Z18 over the Nokia 7 Plus, what about you?